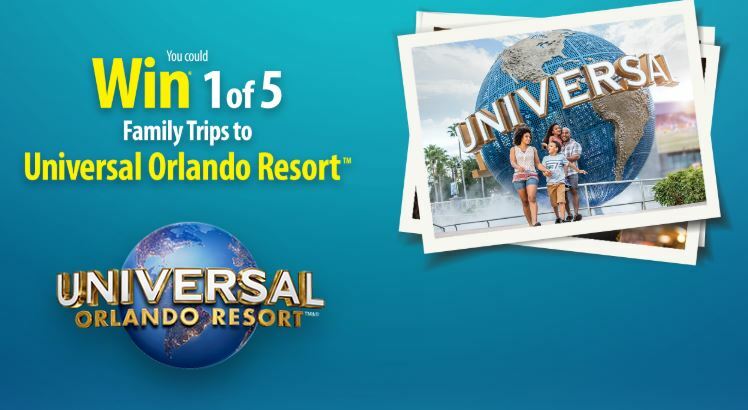 Enter the new Post Cereal Universal Contest for your chance to win 1 of 5 family trips to Universal Orlando Resort. This contest is open only to legal residents of Canada who are at least the age of majority in their province or territory of residence. To enter you first have to purchase any participating Post Cereal product and look for the PIN printed inside the box, then visit the official contest web page located at postconsumerbrands.ca/Universal and follow the on-screen instructions to enter your PIN. Contest closes on February 28, 2019 at 12:00 pm ET. Winners will be determined by random draw from among all eligible entries. The Post Cereal Universal Contest begins on October 1, 2018 at 12:00 PM (noon) ET and ends on February 28, 2019 at 12:00 PM (noon) ET. The prize draw will take place on March 5, 2019. Winner will be notified by phone and email. Hi. What is wrong with your screen menu. It will not accept the phone number. WHat is the problem. I can’t gain access to the Post Cereal Universal Contest using the website http://www.postlconsumerbrands.ca/Universal site. Please provide details as to why and an alternate access route. Thanks.